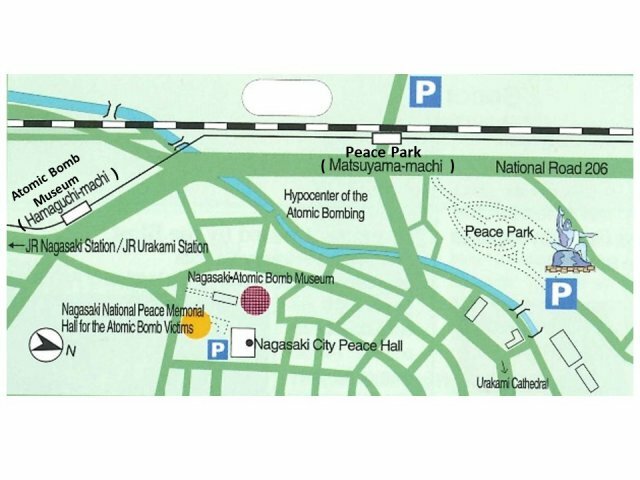 Streetcar : Take street car #1 or #3, get off at Atomic Bomb Museum(Hamaguchi-machi), and is just a five minute walk. Bus : Take the bus for Nameshi, Togitsu, and Menoto, get off at Atomic Bomb Museum(Hamaguchi-machi), and is just a five minute walk. Nagasaki Airport Limousine Bus : Take the bus for Nagasaki Station, get off at Matsuyama-machi, and walk approximately five minute.